In the past, we wrote several times about Google’s location data about you and how it can help you to find a lost phone or to retrace last night’s pub crawl. Although checking at which bar you ended up isn’t something you usually do, having the ability to track a lost phone can save you a lot of stress and money. However, not everyone wants to share his location with Google practically all the time. If you’re one of those people that rather keep their location information to themselves, then you can easily turn off location services on your phone. Check out our guide which explains in detail how you can turn that off. Turning off location services, however, doesn’t get rid of all the data that had been collected in the past. If you want to erase all recorded location data of you, Google offers an easy way to do so. In your app drawer, select “Google Settings”. Select “Location” and then “Google Location History”. In case you have multiple Google accounts, select the right one using the dropdown on the top. 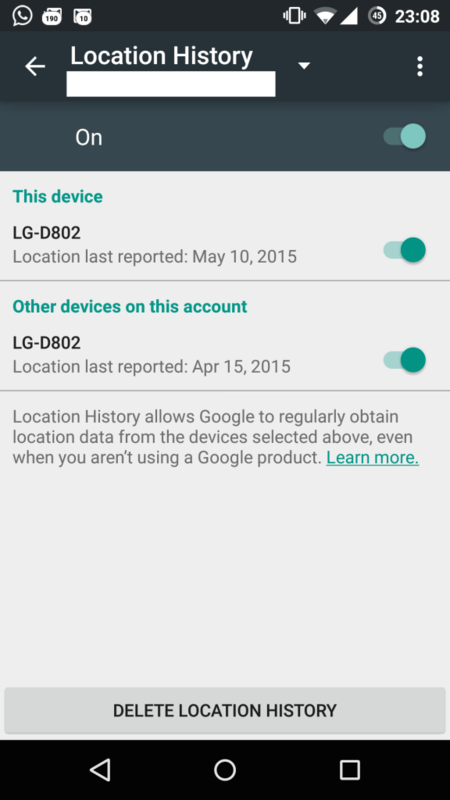 On the bottom select “Delete Location History”. 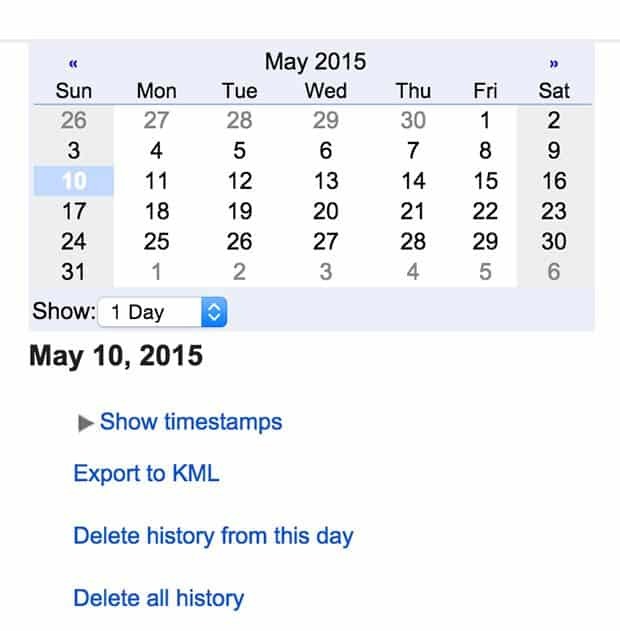 Click on “Delete history from this day” below the calendar. If you want to erase one certain recorded location, select the correct day on the left, click on the recorded location on the map and select “Delete from history”. Whether you want to delete your entire location history or only a specific day to cover your tracks, I hope this guide helps you with that. Should you run into any problems, let us know in the comments.